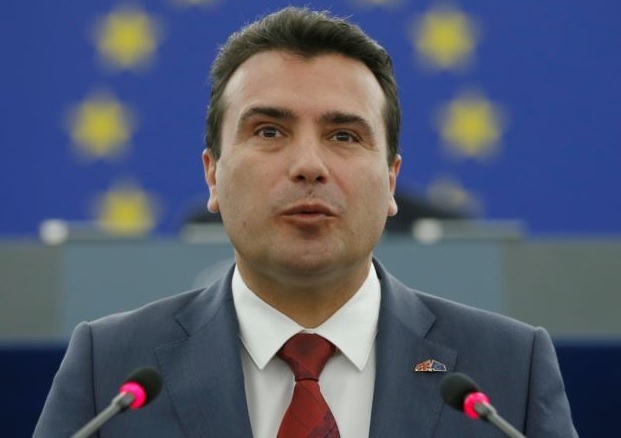 Zoran Zaev: Macedonians must accept the new name or face "isolation"
Macedonian Prime Minister Zoran Zaev said to citizens of his country they should agree to accept the new of the state name or face instability and isolation. In an interview to the AFP agency, Zaev urged Macedonians to vote positively on the referendum that will re-appoint the country with the name "The Republic of North Macedonia". The referendum will be held on September 30 as a result of the agreement reached between Macedonia and Greece to resolve the name issue after many decades. The name issue between Skopje and Athens dates back to 1991, when Macedonia broke up from Yugoslavia and declared independence under the name of Republic of Macedonia. Greece did not agree with the name Macedonia, because according to them, this includes the northern part of Greece with the same name. Due to Greek objections, Macedonia has been admitted to the United Nations with a temporary name - Republic of the former Yugoslavia, Macedonia. Greece, a member of NATO and the European Union, stated that there could be a veto in case of Macedonia's membership plan in these two organizations.